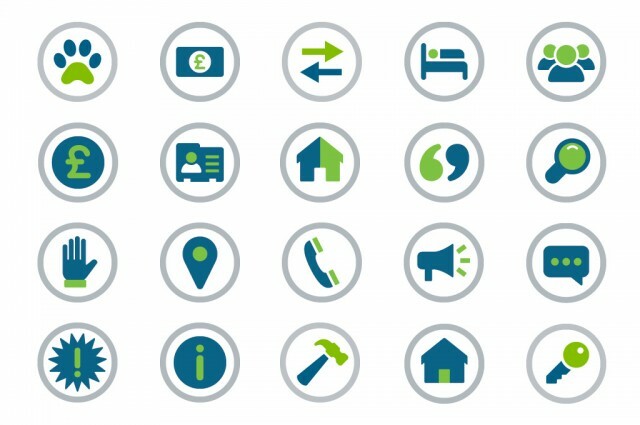 When two Home Counties housing associations merged in 2003, we were commissioned to design their new brand identity and create brand guidelines for future internal use. 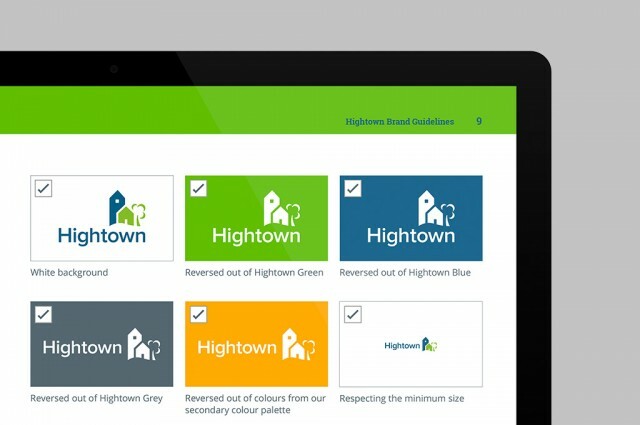 Years later, when that same company evolved into Hightown Housing Association, the team approached us again to evolve their brand identity and update the master brand guidelines and subsidiary logo structure. It was a strategic design opportunity and a challenge we were excited to revisit. 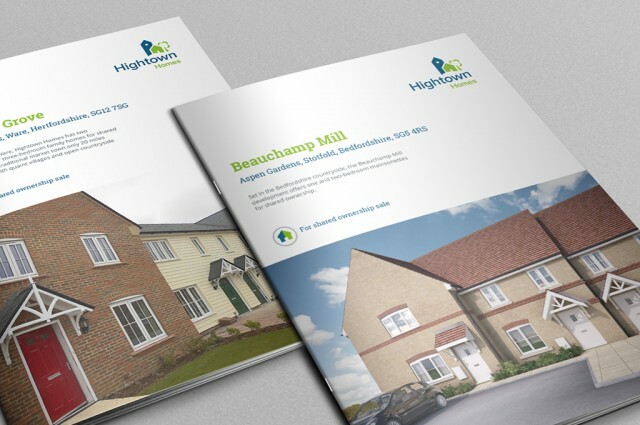 Hightown is a well-known charitable housing association operating across Hertfordshire, Bedfordshire and Buckinghamshire. They provide housing services for families and also support services to specific groups of people. 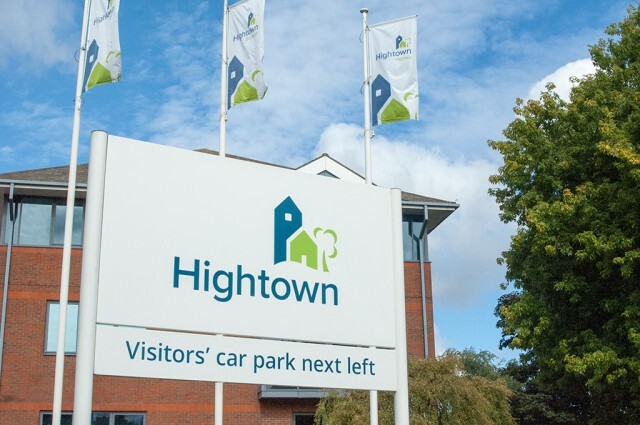 These services are reflected in the organisation’s master brand (Hightown) and two subsidiaries (Hightown Homes and Hightown Support), so the new brand architecture needed to clearly explain the structure to the public, in order to enhance the customer experience and also efficiency in dealing with enquiries. 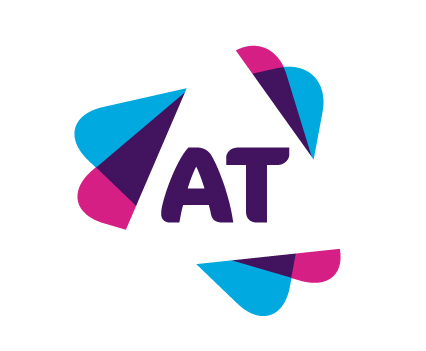 We simplified the master brand mark to show that mergers and sub-divisions needn’t be confusing, at the same time giving the association a more modern, refreshed look. 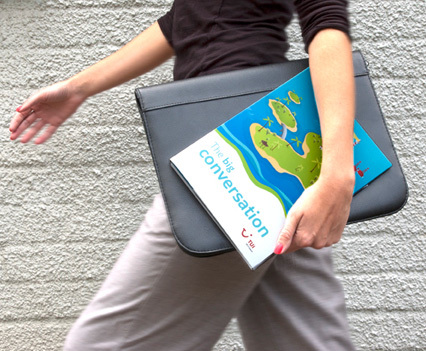 As an outcome of the brand design project, along with corporate brand guidelines and new iconography, we delivered a range of brand assets including signage, campaign billboards, large format promotions, digital presentation templates and corporate stationery. The team at Gosling helped us to successfully navigate the potential pitfalls associated with rebranding. 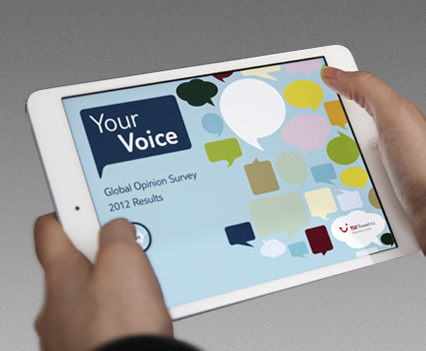 The resulting brand guidelines are a joy to work with, giving our communications a clear and consistent look that has been well received by all our audiences.